Disney has bought out LucasFilm aka the Star Wars franchise, and is already working on making Episode VII scheduled for a 2015 release. 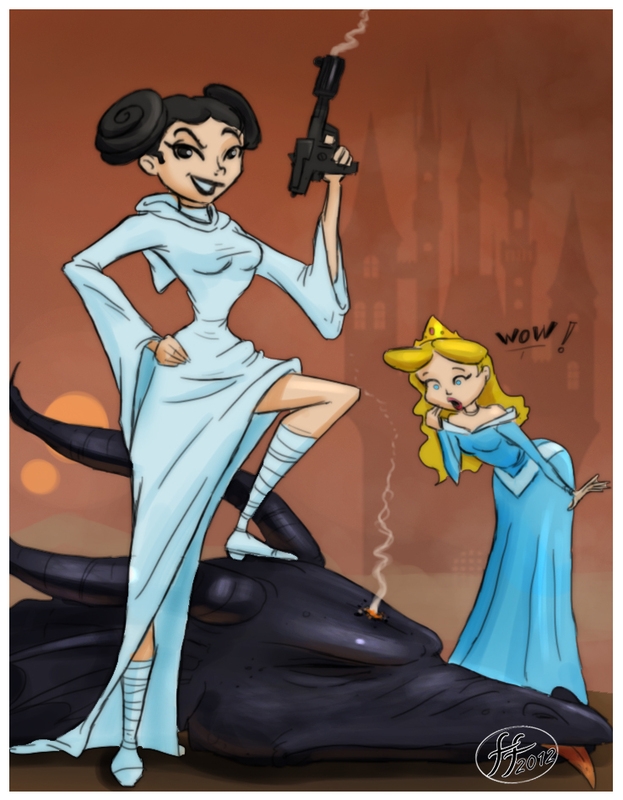 1) Will Princess Leia be included in the Disney Princess line-up? If she does, she better be wielding a lightsaber! 2) Is Disney buying up every geek-loved franchise out there? First it was Marvel... Now Star Wars... Oh dear God, RUN DOCTOR WHO RUN! 3) Will Disney make the planned sequels more akin to how they handled Pirates of the Caribbean - which were darker and edgier than most Disney-made films - or will they make 'em like their cable channel kid-friendly what-the-hell stuff? 4) And the most important question of all: will Mickey be tempted to the Dark Side by Darth Duck? Was actually spent cleaning up the house a bit for tonight: it IS Halloween after all. Another blog post is forthcoming for the day. Please wait. 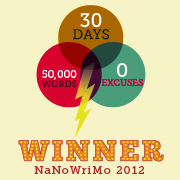 For NaNoWriMo 2012, I'm focusing on the superhero novel idea. It's based in the same 'Verse I've set up in The Hero Cleanup Protocol story. I have a few characters in mind lined up. I'll need to refresh meself to the rules of the 'Verse as I've set them. With hope and luck, this is the year I not only finish the 50,000 word count but I also finish an actual honest-to-Cat novel that's suitable for publishing somewhere. 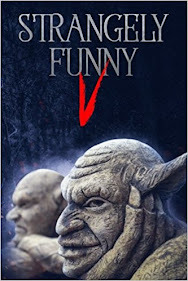 I'm with the Florida : St. Petersburg regional group again as that's closest, but this time I am paying more attention to events with Tampa especially as I'm trying to get fellow writers from the Wesley Chapel FWA group involved with this year's NaNo. My biggest problem right now is making up my mind: Should I write a novel / series of stories based on the superhero universe from my Hero Cleanup Protocol e-short; or should I write a thriller noir-type work I've had in mind over the last two years about an unemployed yet honest (which explains the unemployed part) financier getting involved with a shady figure who might provide revenge against the greedier souls who ruined him four years prior? Leave comments if you encourage one or the other. Thanks. So why should writers sign up for National Novel Writing Month? I think I can get that into a pretty decent PowerPoint presentation, ya think? oh and 11) You get an opportunity to get your finished work published on Create Space. I think. Will need to check NaNo's tie-in to that. I've decided I shan't keep up with an old html-based website any longer. If anyone's got a link to it, wittylibrarian.com is no longer a functioning site. If you keep getting its pages, it's only because it hasn't been fully decommissioned yet. Please use the blog here for keeping up with my general off-kilter observations of librarianship, writing, and cats. Thank ye. Should have stuff in place by the end of August, have it proof-read by others and fact-checked besides.